This post contains affiliate links. See full disclosure here. The first thing I think of when I hear Epcot at Walt Disney World in Florida is the World Showcase. Epcot does an amazing job at featuring each of the spotlighted countries that are featured in the World Showcase. As I go through each country I learn so much and I love talking to the cast members in each country. They are always so nice and friendly and they love sharing stories of where they are from. In addition to Epcot’s World Showcase, there are so many amazing attractions at Epcot that you just can’t miss. 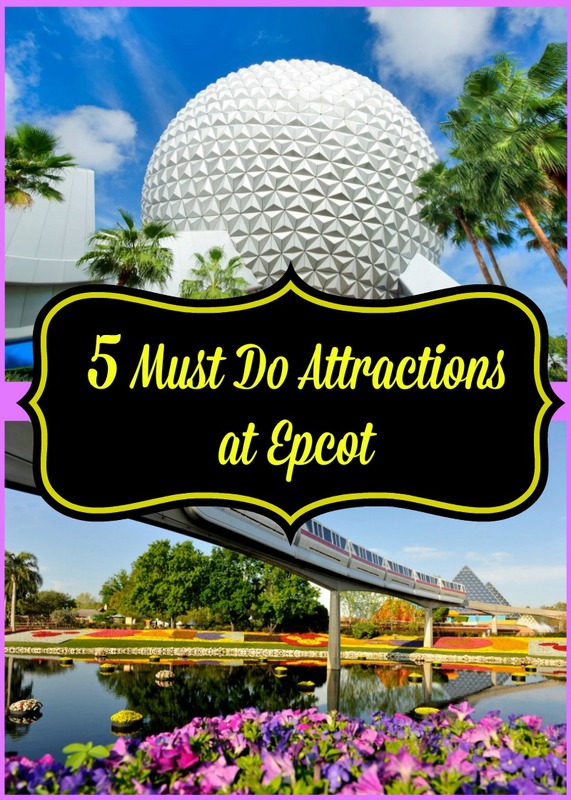 I’ve compiled my 5 Must-Do Attractions at Epcot that you cannot leave Epcot without doing. Epcot opened its doors in 1982 and was the 2nd theme park that was built at Walt Disney World. It is one of my favorite parks at Disney that I always want to keep coming back to. There is something about walking through Epcot that is so relaxing, educational and fun. 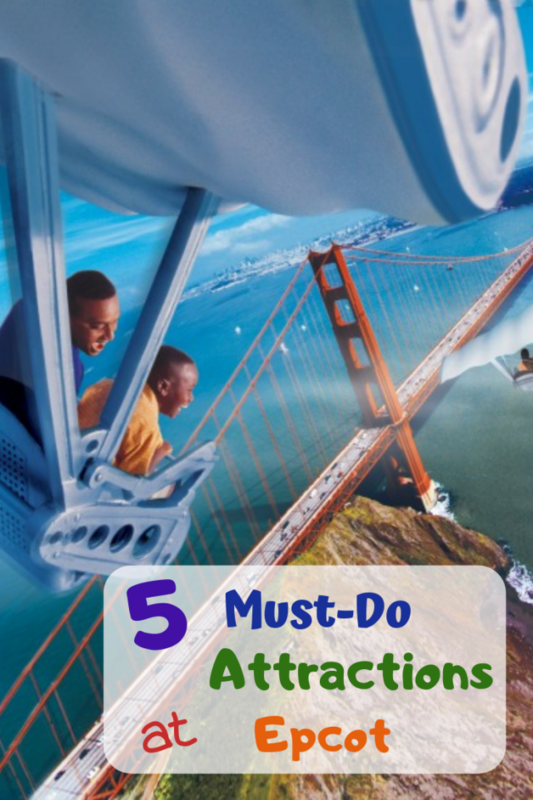 Since there is so much to do at this park, I wanted to highlight my 5 must-do attractions at Epcot. 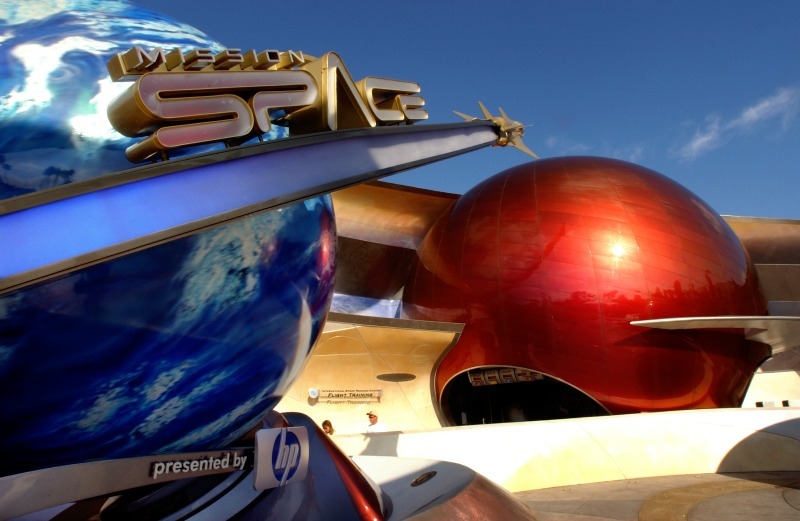 Mission Space – I was lucky enough to experience this attraction when it was still in the testing phase. I have to be honest with you, Mission Space scared the living tar out of me! At this time in my life, I was able to ride almost any ride without feeling sick or without getting scared, but this ride changed me forever and that is why it is a must do attraction at Epcot. Mission Space is a shuttle simulator that gives you the NASA-style training and an out of this world space launch. The great thing about Mission Space is that you can choose which level of training you’d like. There are 2 levels and one is more intense that the other. When I first experienced this attraction during the test phase, there was not this option and I have a feeling I experienced the more intense training. Are you up for the space challenge? Test Track® Presented by Chevrolet®– Design a virtual concept vehicle and then go for an exciting ride. This is a 6 seater car and each ride will surprise you. I’ve been on some really smooth rides and then I’ve been on some, ‘Get me off of this now’, rides. Turtle Talk with Crush– If you have kids or even if you don’t have kids, Turtle Time with Crush is a fun experience and I promise you will laugh. This is your chance to ask Crush any burning questions that you might have. It is located in Future World and every show is different. Spaceship Earth– No matter how many times you have been to Epcot, you should never leave without riding Spaceship Earth; it’s a classic and it’s a great way to get out of the heat. Soarin’– I have saved my favorite Epcot attraction for last. Soarin’ is a must do attraction at Epcot. It is an exhilarating and epic adventure and will have you leaving feeling mesmerized. 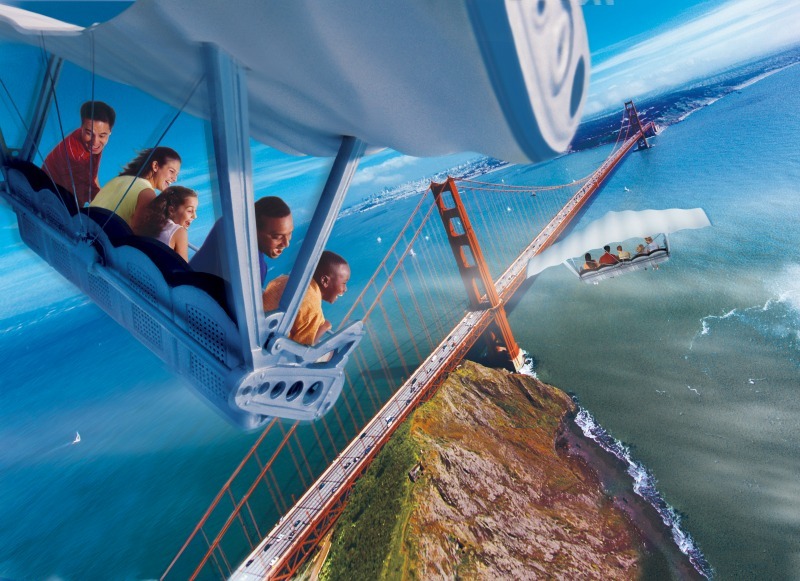 Soarin’ allows you to experience the Golden State as you hang glide across different landscapes. You will also feel the wind in your hair and the amazing smells that California has to offer. My advice is to get in line immediately when the park opens or get a FastPass. The line for this attraction tends to get long! Ohh it looks like so much fun! Sometimes, I wish we lived closer to Disney World, looks like such a blast! Our Family loves Disney/Epcot. 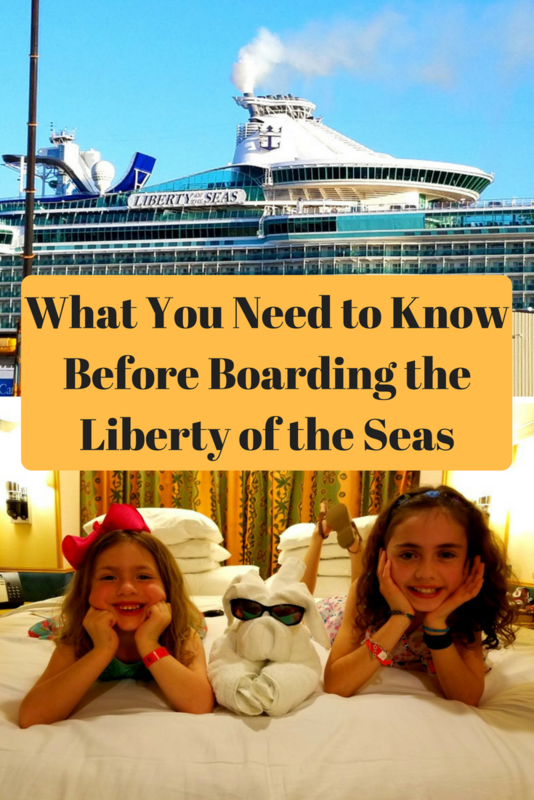 I haven’t tried all these rides, so we will check them out next time we’re there! Great list! I dont think I’ve spent nearly enough time at Epcot after this! I need to go back. I agree with all of your choices, except for Mission Space. I am too claustrophobic to get into the ride capsule. I’ve never been to Epcot before. I think that Spaceship Earth would be loads of fun. I love walking around the world in EPCOT. My two favorite rides are Spaceship Earth and Test Track. Love these ideas and things to do! I’ll be storing this one away for when we visit!! 🙂 I would love for you to share this over at Making Memories Mondays that starts on Sunday night at 9PM EST! There’s a $250 cash giveaway!! These all look like must do’s. I have not been here in years. I would love to do Soarin. Looks like it would be a blast. I’ve never been to any Disney park, or attraction (same thing, no?) but I can’t wait to eventually. I know my kids will LOVE it! These attractions look so fun! We’re planning to bring the kids there before the school starts. I’ve never been to Epcot, but I want to experience it with my kids so bad. I love Epcot! These are all really great attractions. I’ve never been and I don’t really have a desire. People say that will change when my grandson wants to go. I have never been there. So it would be all must see for me. Great choices. My son and I LOVE the Test Track! It is one of the best rides there! Fun and fast! I’ve never visited Epcot with my family but your photos definitely make me want to visit. It looks like it is full of fun and adventure. I need to make sure I check all of these out. 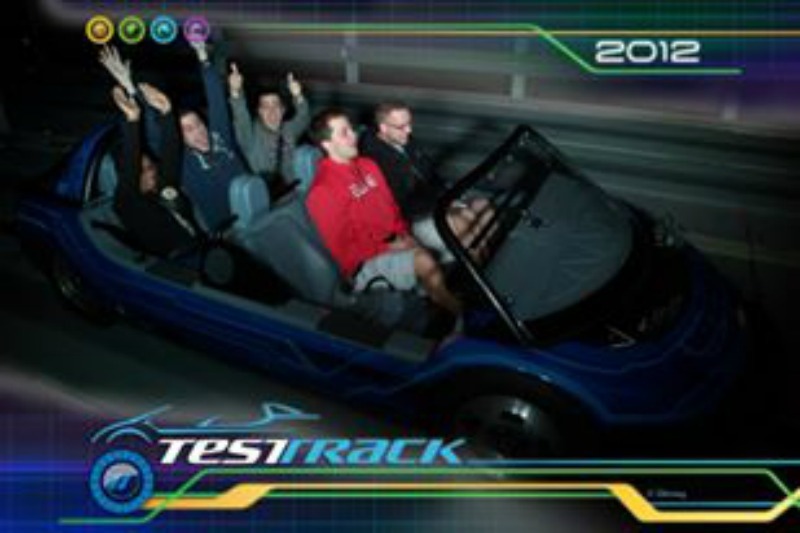 I do make sure to ride Test Track every time. That one is awesome! Looks like so much fun! I’d like to try the Soarin because it would be fun to feel like I was soaring over the golden gate bridge. These all look like a lot of fun. 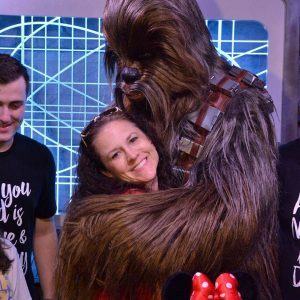 My kids have never been to Disney and when I see posts like this I want to take them! I have to admit I’ve never visited Disney. It was on my list for this past February and I ended up with the flu instead. We really want to take our son in the next few years! Yes, the world showcase. We do all those rides, but the real fun is in the WS!